Welcome to the Mongolian countryside. Hello Everyone, I am SO happy to hear that gay marriage will be legal in Minnesota! So, now back to me. As I said before, I have been in Mongolia for 2 weeks now. 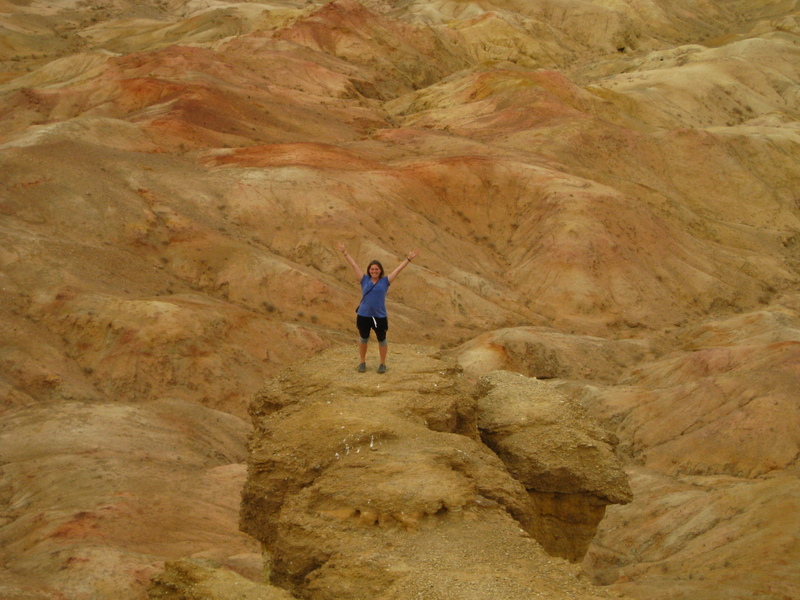 10 days ago, I set off on an adventure to the Gobi Desert with a group of people from the UB Guest House. The group consisted of Mike (Canadian), Phillip, Carl, Otto (Swedish), Khulann, and Gaanan (Mongolian). We left early in the morning from UB and set off to a ger camp near some rock formations about 7 hours away. I spent a majority of my time looking out the window. 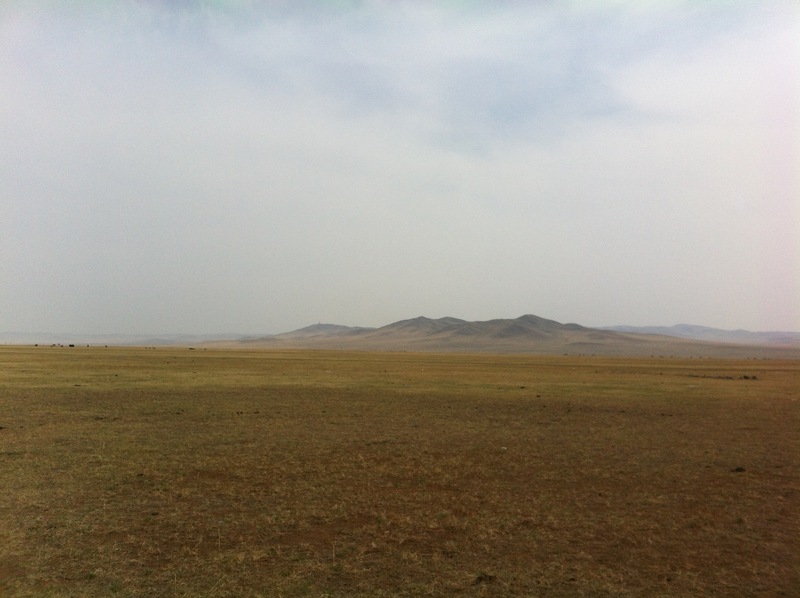 I now understand what people mean when they say, “Mongolia is Asia’s wild west.” It is true. While watching the scenery pass, you see men on horses herding their sheep or cattle. Or often enough you see men on motor bikes herding their animals. You see the occasional ger in the distance, usually accompanied by a wooden shed or wooden fence holding their livestock. Other then that, for 6 of the 8 hours, all you see are the endless plains of grass. After awhile the grass turns into arid desert. In the distance you can see hills upon hills and the occasional mountain. A sand storm blew by on our first day. During our drives, we stopped often for bathroom breaks and for lunch. Those were some of my favorite times of my whole trip. When we stopped, we just parked the van beside the road and we would find ourselves in the middle of nowhere. I would stand in the field and try to comprehend the sheer size of my landscape. I mean, just imagine a prairie in Minnesota (and I mean a big one), and then think of it 20-30 times vaster. Maybe even more than that! There was also a place that was similar to the terrain near Bend, Oregon. But, imagine arid fields 30 times larger. It is utterly incredible. 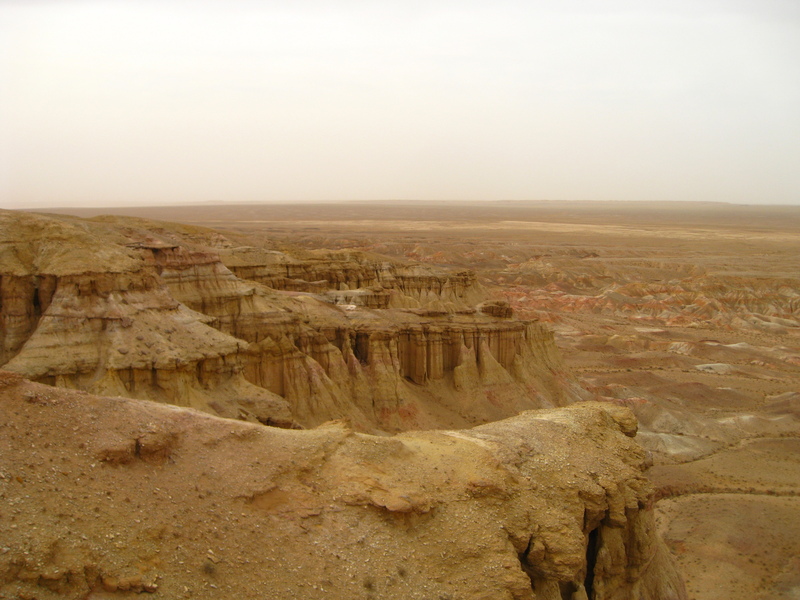 So, that’s just an introduction to what I saw during my trip to the Gobi. On our first day (as I mentioned before), we drove for a long time. On our lunch break, the boys and I played some good ol’ ultimate frisbee! 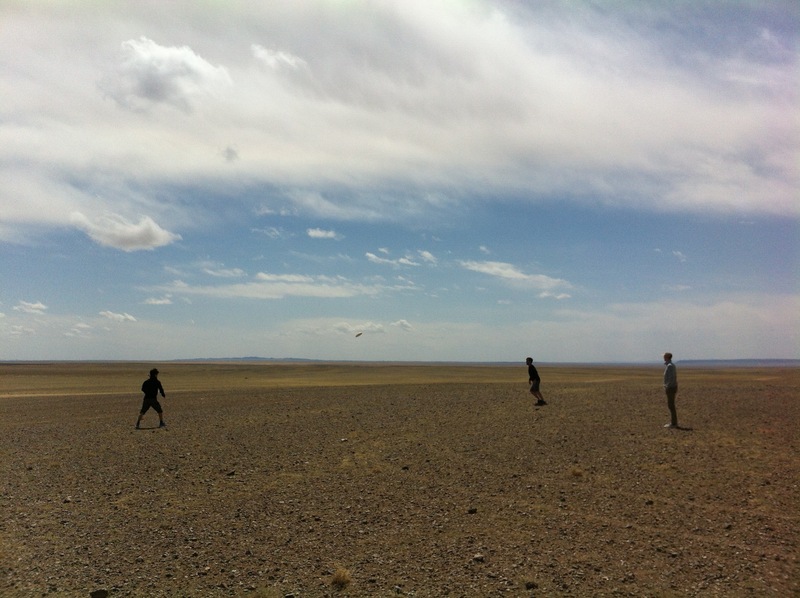 I really got a kick throwing the disc around in an isolated field in Mongolia. Other than that, we conversed and quickly got to know each other during our van ride. Near dusk, we made it to our first sightseeing spot. It is a famous rock formation that used to house many monks within a temple. Sadly, during Russian occupation, the Russians traveled across Mongolia and destroyed almost all of the Buddhist temples. 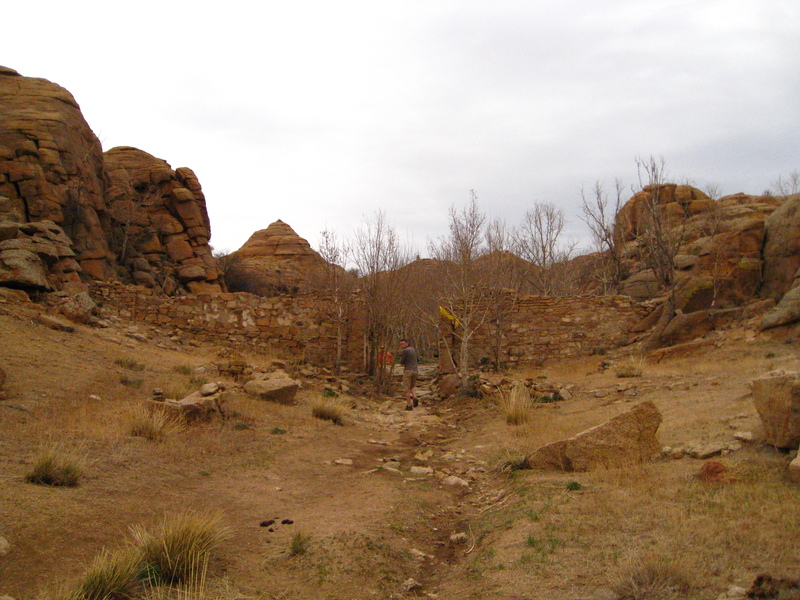 We saw the remains of the once beautiful temple and then hiked around the area. We hiked to the top of a rock and I watched the sunset beside a pile of rocks. In Mongolia, many people pile rocks in sacred places. I believe people make wishes or pray when they place a new rock on the pile. Many of the piles had blue cloth tied to them as well. So, I made a wish and put my own stone on the pile and continued exploring until it got too dark. The entrance to the monastery ruins. You can see the rock formations also. We stayed in ger camps throughout our whole stay. Our first night was my first time staying in a ger and I was surprised how much room there was. There were 5 beds and a stove in the middle to keep us warm. We arrived near nightfall, so I didn’t have much time to explore. I mostly played with the puppy that evening. He was so cute. The next morning, I woke up early (at around 6am) and hiked to the South. I didn’t want to get lost (because once you go over a hill, everything starts looking the same), which is why I always pick a direction and stick with it. South is the easiest for me because the Sun will always be to my left in the early morning. So, the puppy and I hiked South for a long while. I loved having an animal companion. After about an hour I found a nice spot on top of a hill to practice some meditation. It was my first time meditating outside and it felt very good. The puppy had ran home by then, so I walked back by myself. During my walk back, I observed many birds (mostly swallows) singing and playing. I very much enjoyed that. I was happy to see so much activity in such a dry, arid place. The ger camp was a bit different than the last one. 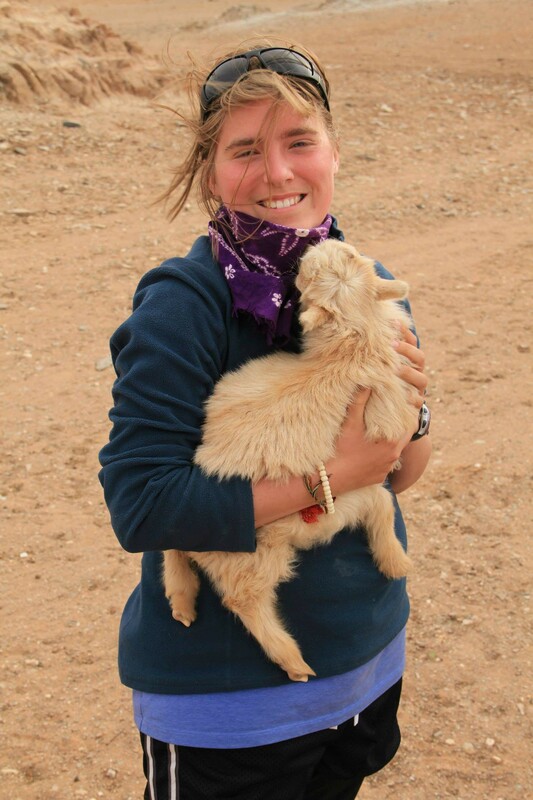 This camp had camels to watch and goats to play with. I fully enjoyed my time playing with the baby goats. They were so adorable. I’ll try and post more later. Now I’m going to figure out my Russian transit visa. The sunset nearby the mountain. We were at the ger camp. 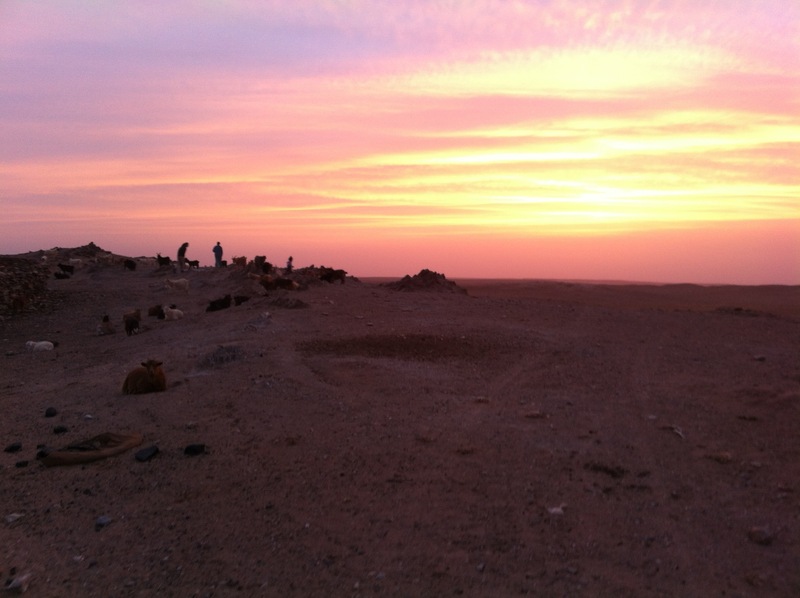 Sunrise at the ger camp. 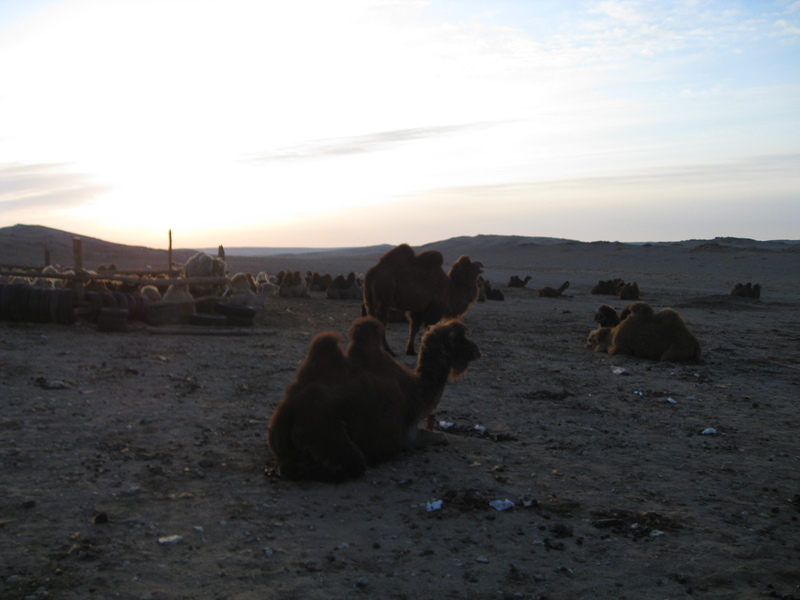 The camels were my alarm. I also helped stack camel dung. The goats were so fluffy! Wow this looks like an AMAZING trip! I can’t wait to read more about it! 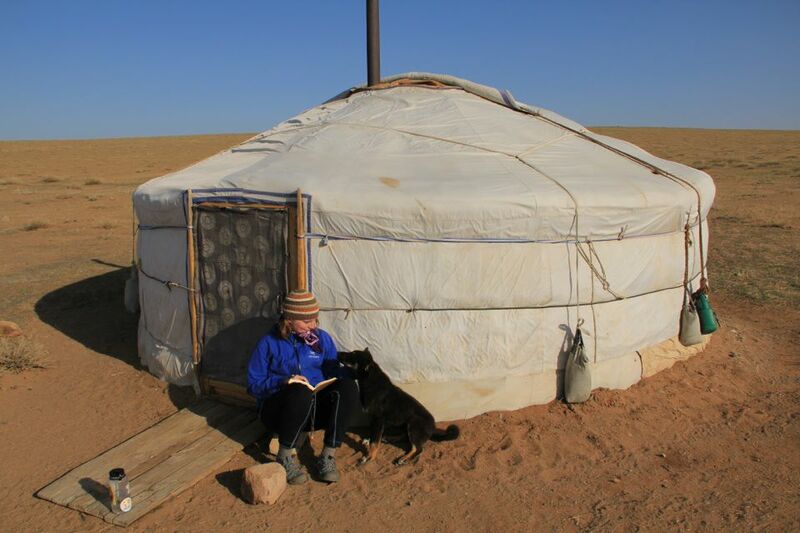 I’ve never been to Mongolia, but it is on my list of places to travel. 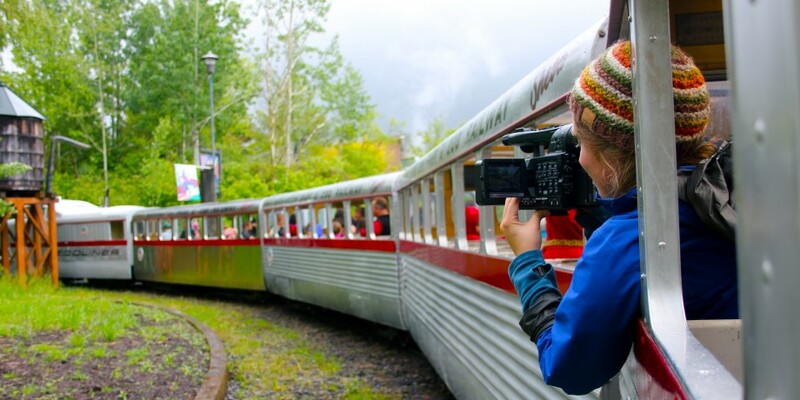 Check out my travel blog at http://traviscaulfield.wordpress.com – Safe travels! Beautiful writing! I love how you interweave your travels, history, geography, references to back home, and of course your photos! Thanks for taking time to write with such detail!